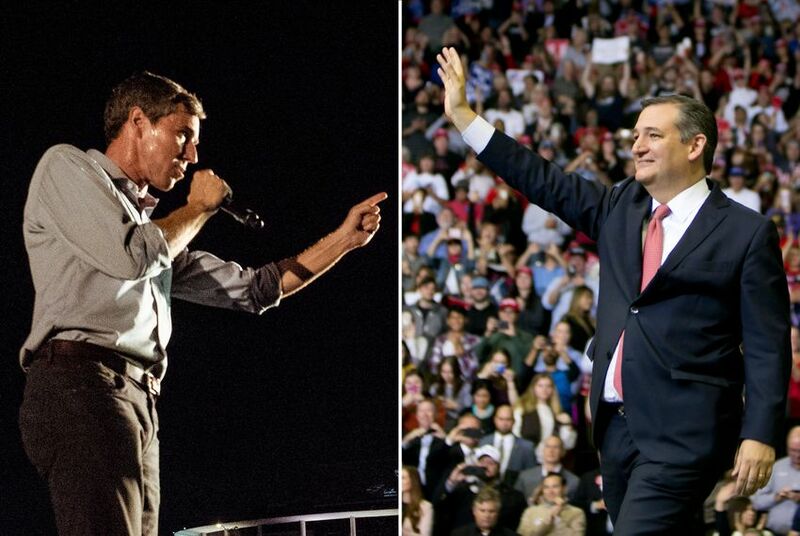 U.S. Rep. Beto O'Rourke, D-El Paso, ultimately raised over $80 million in his unsuccessful bid to unseat U.S. Sen. Ted Cruz, R-Texas — and he left little in his campaign coffers when it was all done. That's according to a post-election filing Thursday with the Federal Election Commission that covers Oct. 18 through Nov. 26, or about the three weeks before the election and three weeks after it. The report shows O'Rourke raised $10.1 million during the period, spent $20 million and left $477,000 in the bank, a relatively small balance for what had become an eight-figure operation. The $10.1 million haul brought O'Rourke's total raised for the election to $80.3 million — another staggering figure in a campaign full of them. Cruz's final tally was less than half that — $38.9 million — and came through his campaign as well as two affiliated groups. On his latest filing, the incumbent's campaign reported raising $5 million, spending $11.5 million and having $263,000 left over. He also disclosed getting $260,000 in loans the day before the election and incurring an additional $100,000 in debt. O'Rourke's low cash-on-hand figure is notable. After he raised an astonishing $38 million in the third quarter of this year, he faced some scrutiny regarding whether he would be able to spend the level of money he was raking in — and whether it would be better used in more winnable races. Not only did O'Rourke leave little in the bank, he also finished closer than expected, losing to Cruz by 2.5 percentage points. Cruz's $263,000 cash-on-hand figure is supplemented by $1.9 million he has stowed away in two affiliated groups. In any case, the race is one for the history books. Even before Election Day, O'Rourke's torrid fundraising pace had pushed the total raised between the two candidates into nine-figure territory. There was also millions of dollars in outside spending, much of it on Cruz's behalf. O'Rourke did receive last-minute help from a secretive super PAC, Texas Forever, that was revealed Thursday to have been primarily funded by a major national Democratic group. O'Rourke promised not to take PAC money throughout the contest, and his most recent report shows he stuck to his word through the end. While he also told groups like Texas Forever to stay out, candidates have no formal control over the activities of super PACs, which can raise and spend unlimited amounts of money as long as they do not coordinate with campaigns.